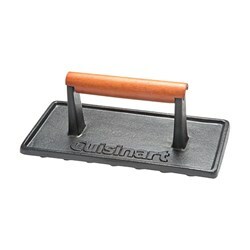 The Cuisinart CGG-180 is a petit gourmet portable outdoor LP gas grill with versastand has an integrated, adjustable telescoping base with 3 height levels (tabletop, mid level and full 30-inch grate-level). 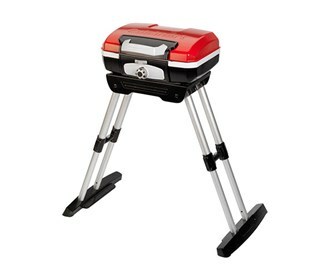 With a 5,500 BTU oval burner and a 150 square inch cook surface, this small format propane grill is designed to quickly and conveniently cook 8 burgers or strip steaks, 6-10 chicken breasts or over 4 pounds of fish without compromising flavor. 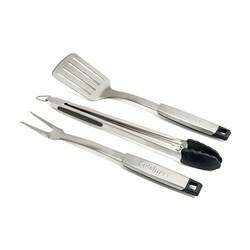 The grill heats up very quickly, and uses far less gas than a full-sized grill. 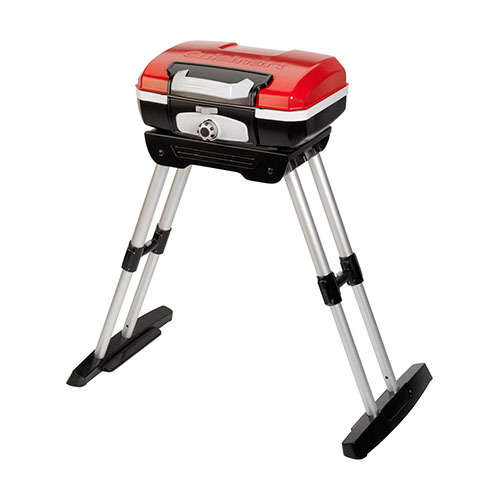 The compact size fits small, urban outdoor living spaces and is portable for tailgating and the beach. 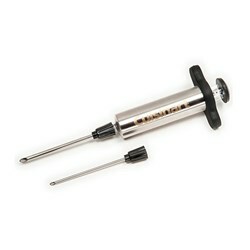 It has a locking lid, ergonomic carry handle and setup is quick and easy. This grill uses liquid propane gas cylinders which are sold separately. The Cuisianrt Petit Gourmet Portable Outdoor LP Gas Grill with VersaStand has many exciting features for users of all types. 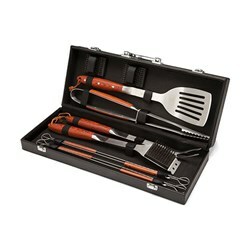 See the Cuisianrt Petit Gourmet Portable Outdoor LP Gas Grill with VersaStand gallery images above for more product views. 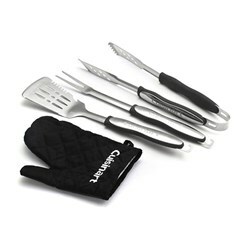 FactoryOutletStore stocks a full line of accessories like Cuisinart 10-Piece Premium Grilling Set, Cuisinart 3-Piece Grilling Tool Set with Grill Glove, and Cuisinart 3-Piece Professional Grill Tool Set for the Cuisianrt Petit Gourmet Portable Outdoor LP Gas Grill with VersaStand. 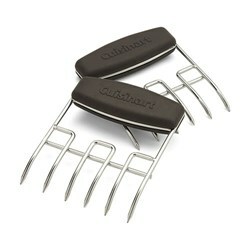 The Cuisianrt Petit Gourmet Portable Outdoor LP Gas Grill with VersaStand is sold as a Brand New Unopened Item.